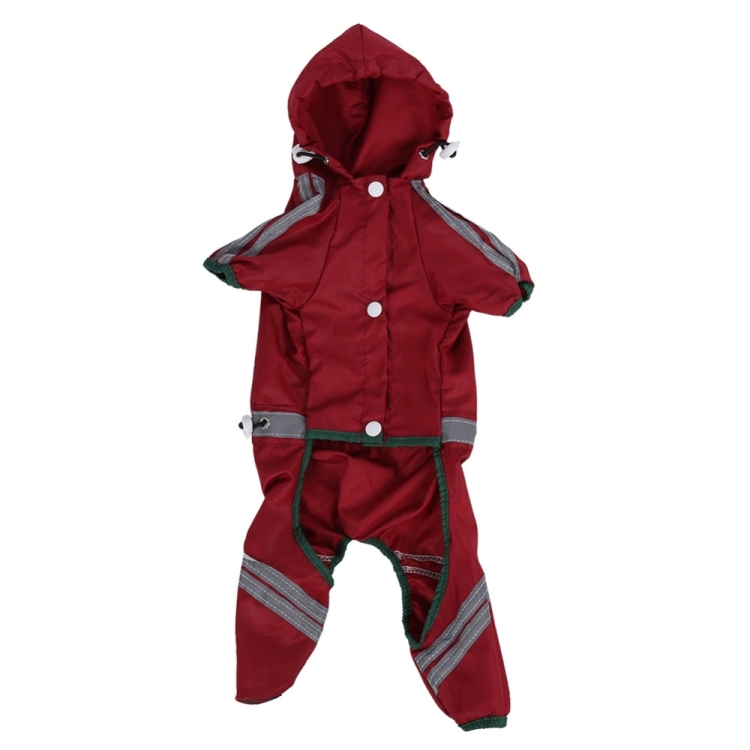 Polyester material has good waterproof and breathable qualities, which is fast to dry and comfortable to wear. 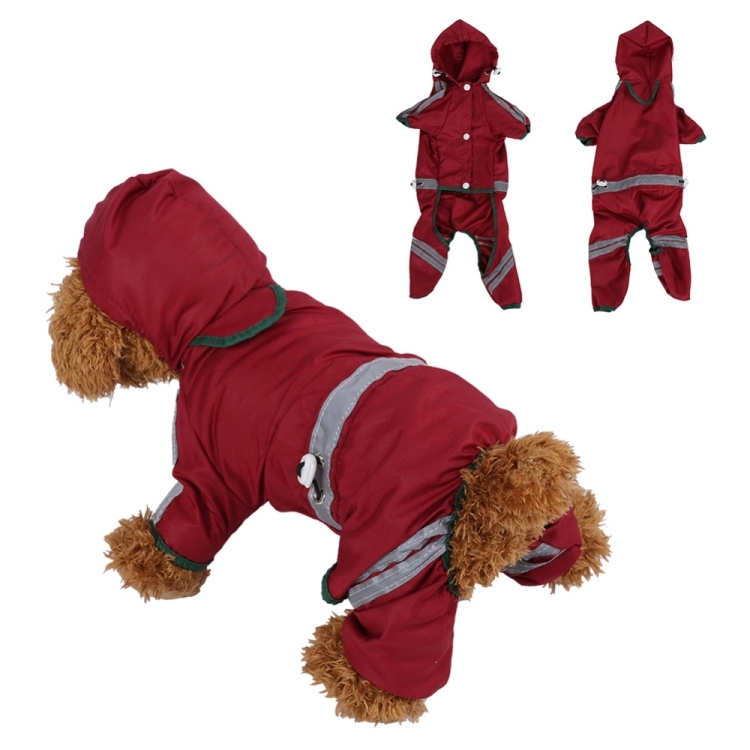 Our pet raincoat will keep your pet dry in wet weather and save you from the hassle of wet smell and extra coat maintenance from dogs. Elastic leg straps and press button ensure a secure and comfortable fit. Reflective stripes are particularly convenient and safe for you during outdoor activities. 1. Polyester material is waterproof, breathable and durable. 2. Jumpsuit style can provide protection from all directions. 3. 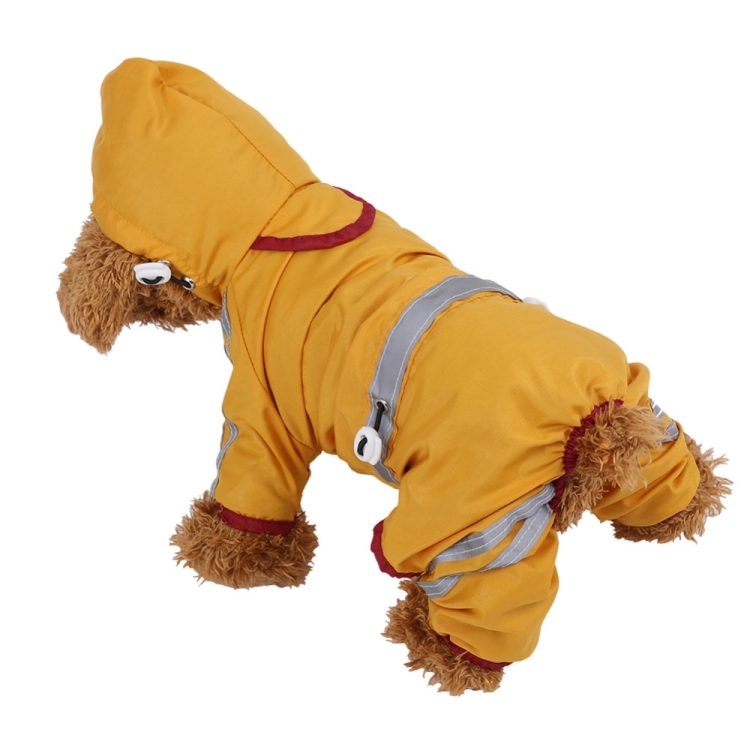 Suitable for teddy, puppy, chihuahua and other small or large pets. 4. 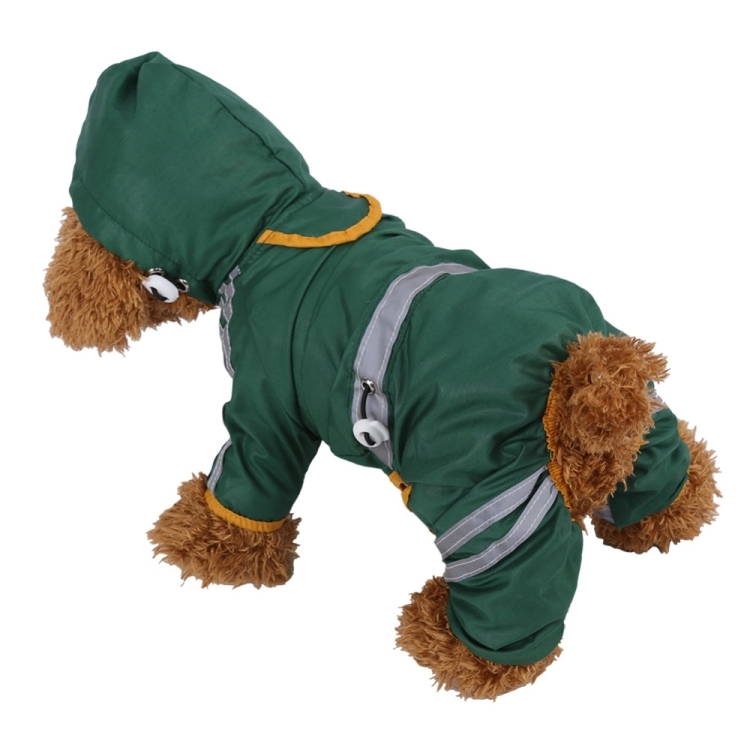 Elastic four-leg straps are comfortable to wear and can prevent the rain from wetting your pet&apos;s legs. 5. Reflective stripes are convenient for you to locate your pet at night. 6. Protective drawstring hood is easy to fit your pet neck and can prevent the rain from flowing into your pet&apos;s back to keep it warm and dry in rainy days. 7. 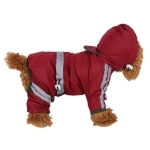 Press button closure can keep the belly of your pet dry and is convenient to put on and take off. Please loose the size for 1-2cm when measuring your dog, the back length doesn&apos;t include the tail length. Thanks for your understanding.